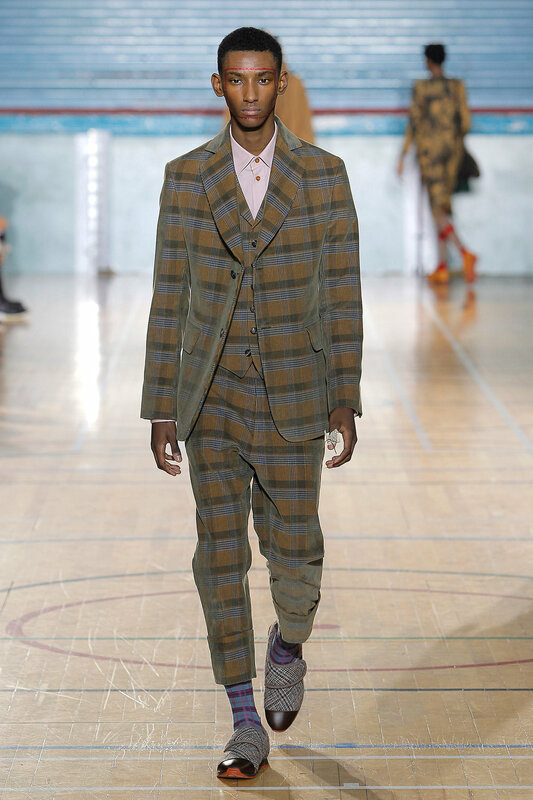 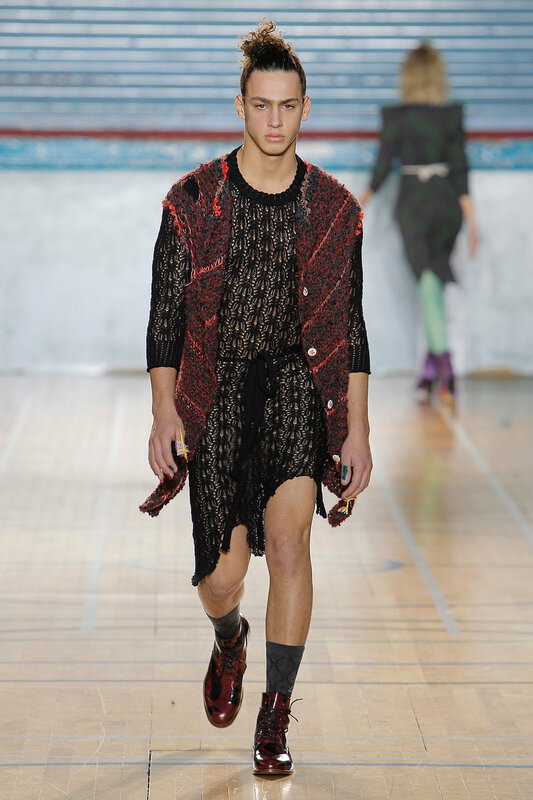 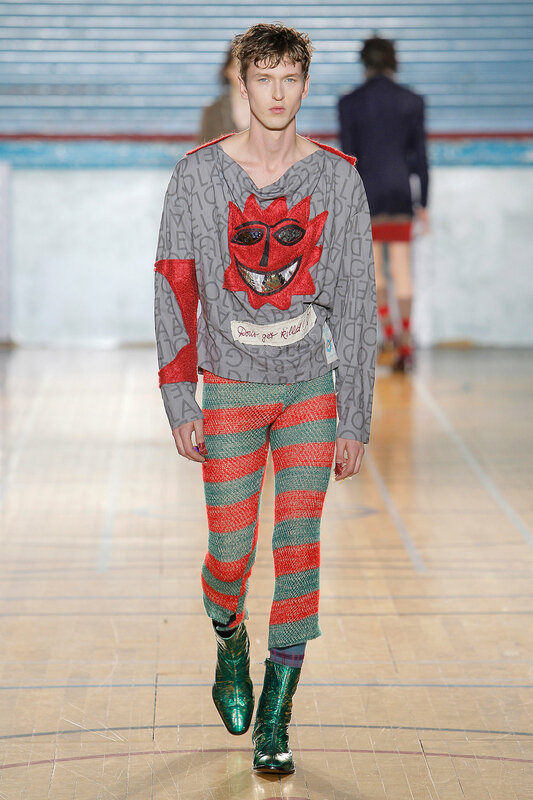 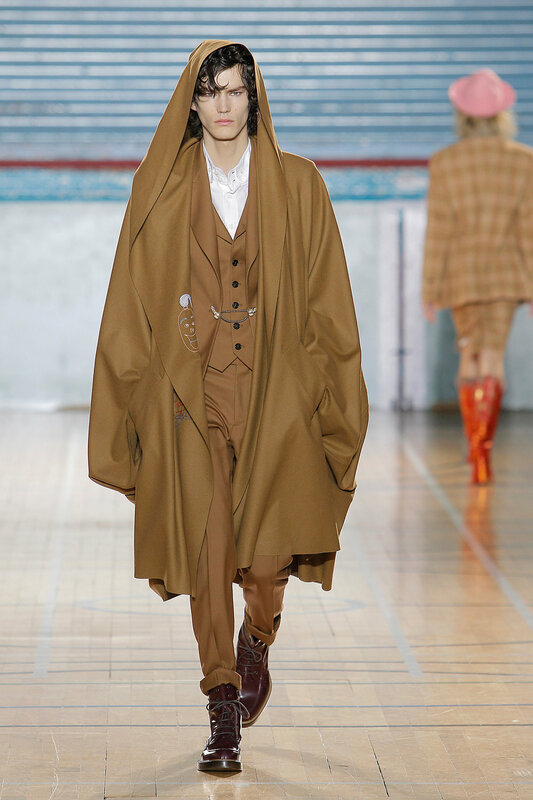 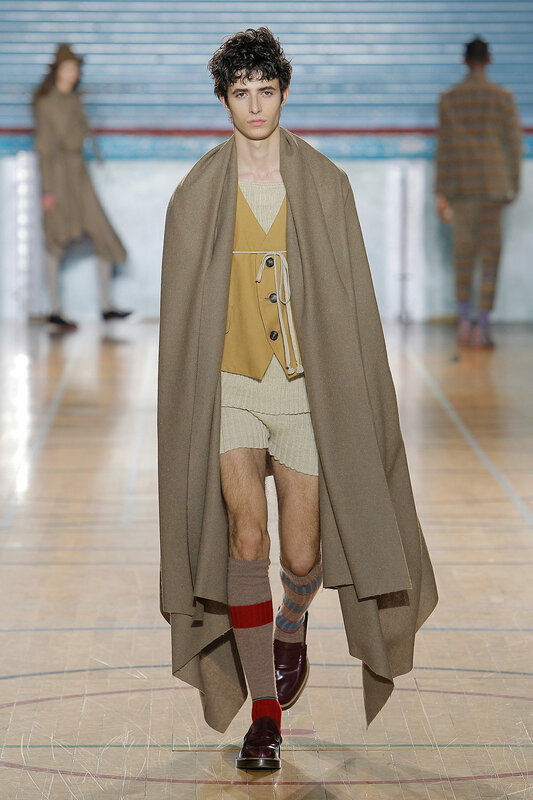 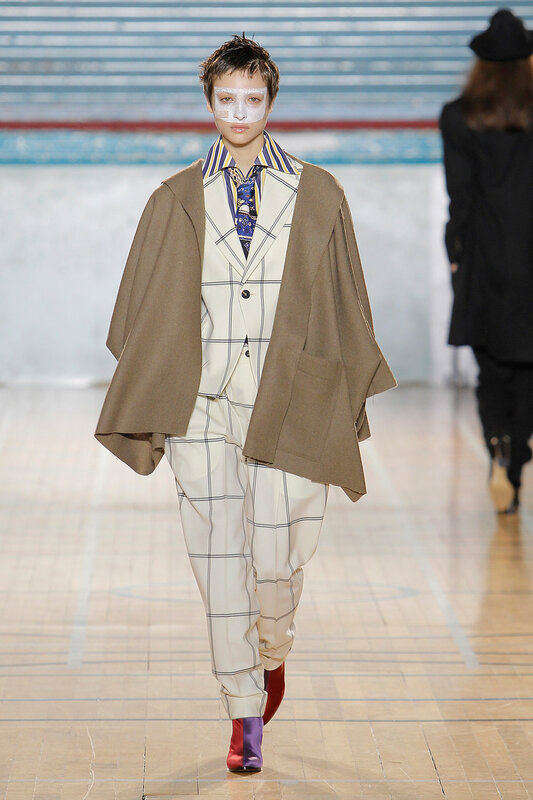 In quintessential Vivienne Westwood style, the collection on display for London Fashion Week Mens embodied deep environmental and political undertones with a magnificent nod to punk fashion. 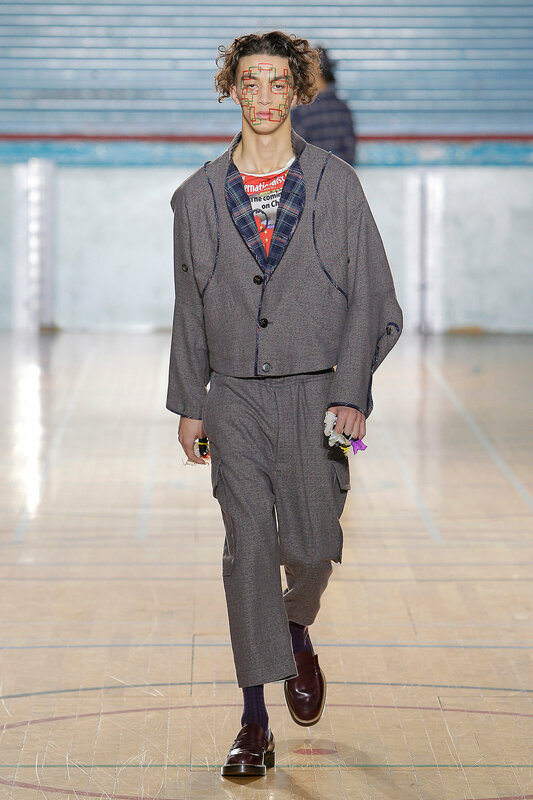 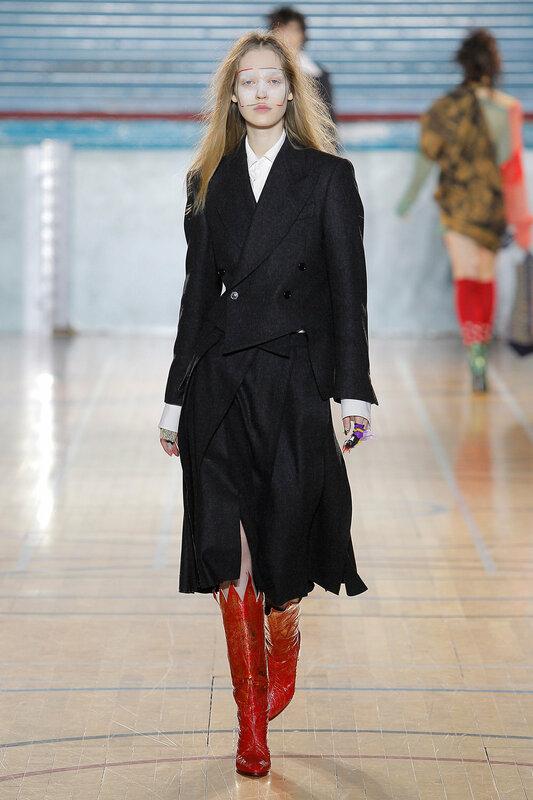 On the 9th January Vivienne Westwood closed London Fashion Week Mens, and continued to establish fashion as a field with a cornucopia of artistic and campaigning possibilities. 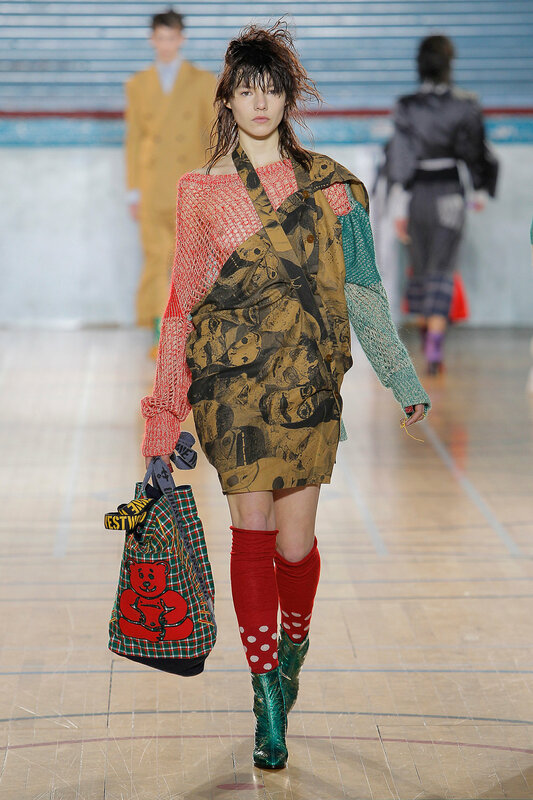 The collection comprised of a range of autumn and winter wear, including jumpers, dresses, coats and suits; some of which featured small extracts from Westwood’s diary, “Get a life” (2016), that spoke largely of politics, embodying a personal touch to the garments. 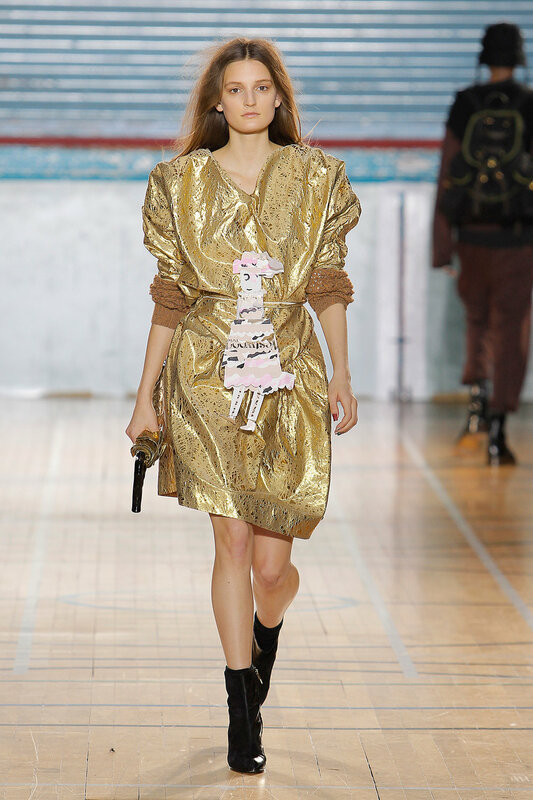 Steered towards unisex wear, “Ecotricity” boldly focussed on sexuality, by featuring men in a tulle dress, a long ruffled rah rah skirt and integrating phallus pins into the outfits. 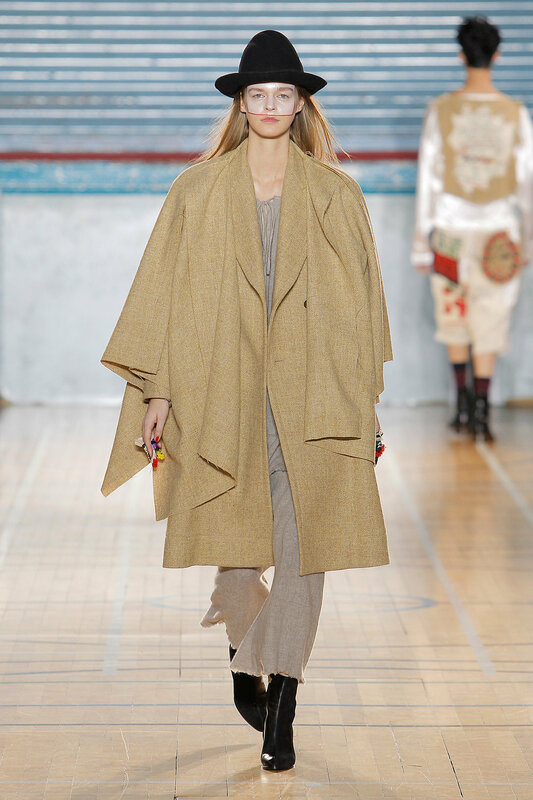 Thorough experimentation with shapes and textures materialised within many of the garments, from flowing draped coats to the finely scrunched effect on the waistlines and shoulders of the dresses. 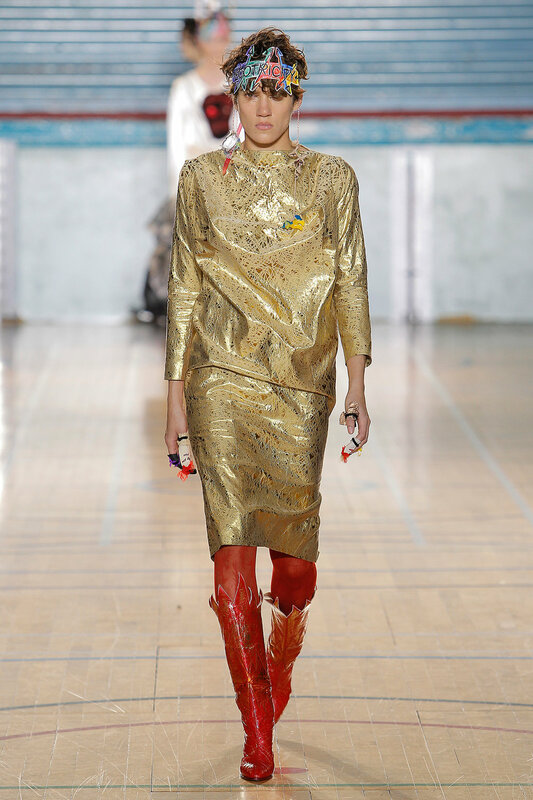 The punk aesthetic was certainly visible within the collection, consisting of classic pinstripe suits and shirts, clashing patterns, bold skull emblems and models donning DIY look hats, vibrant and emblazoned with the word “Ecotricity”. 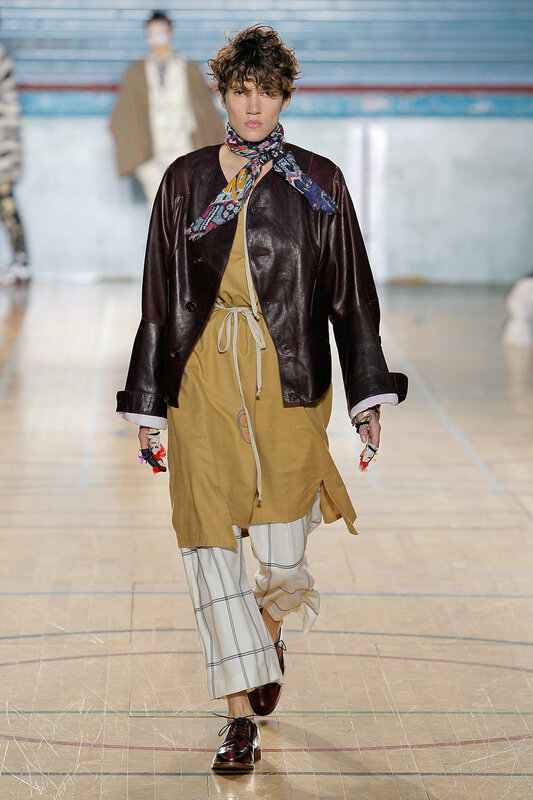 Westwood’s ability to meld punk visuals with elegance and grace is undoubtedly a talent, and was most notable in the grey scale printed silk maxi dress. 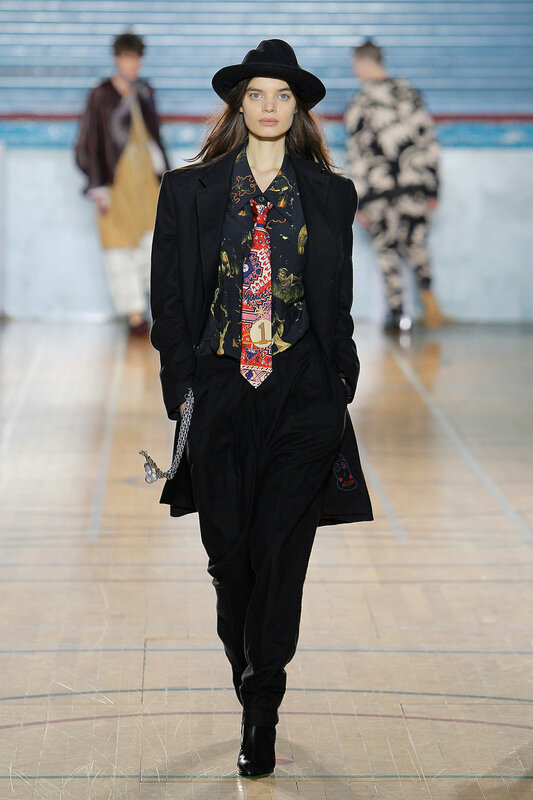 Beautiful, flowing and topped with DIY look headwear, it appeared as though the model had emerged from an ethereal-punk-underworld. 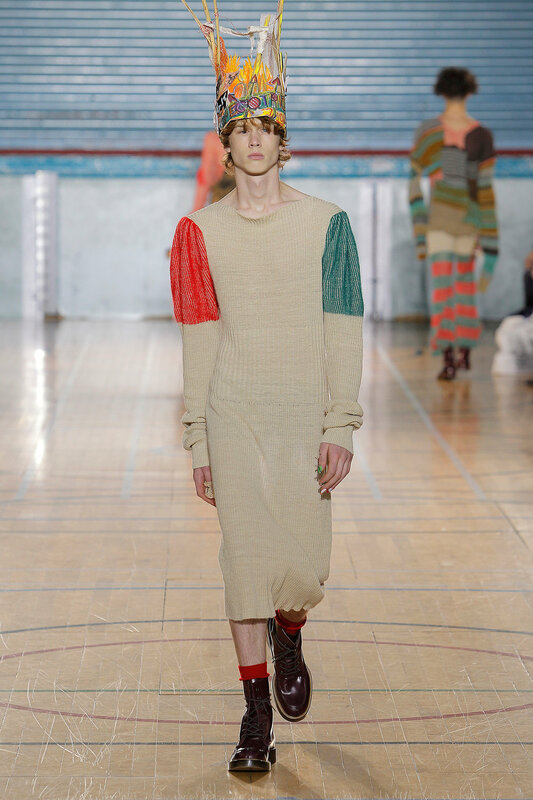 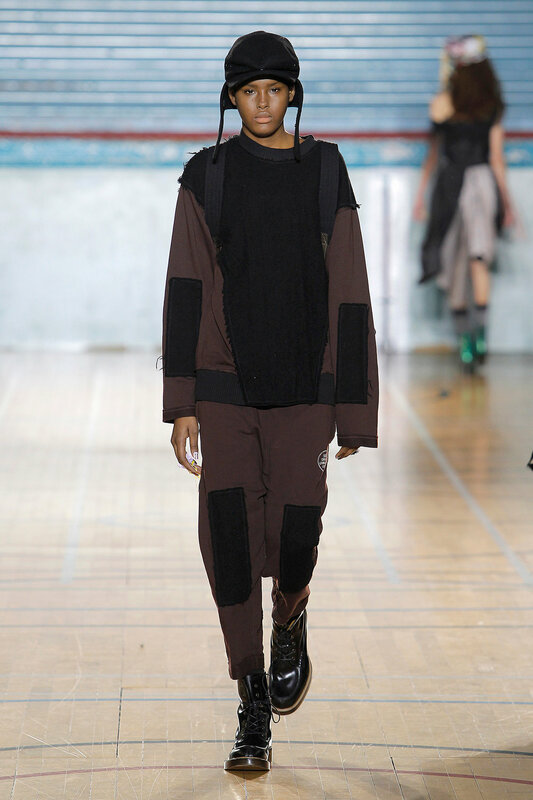 Closing London Fashion Week Mens in perfect fashion, “Ecotricity” AW17 blends Westwood’s renowned punk style with an important underlying message about our climate. 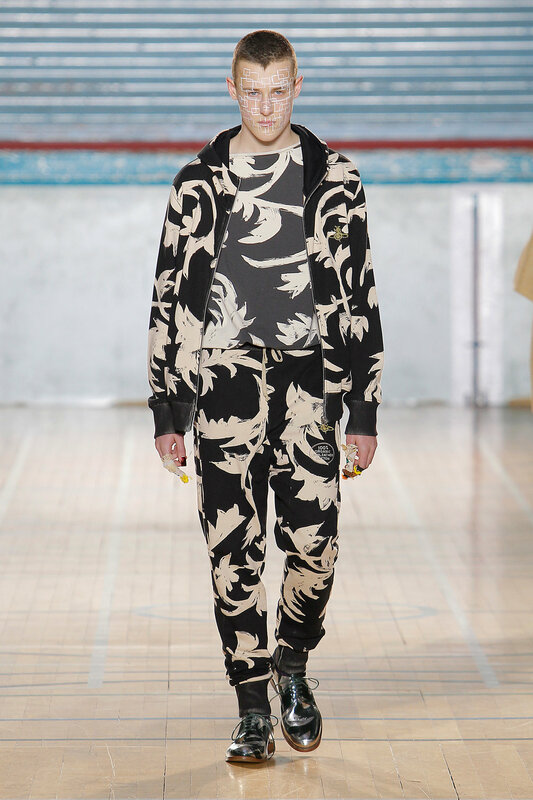 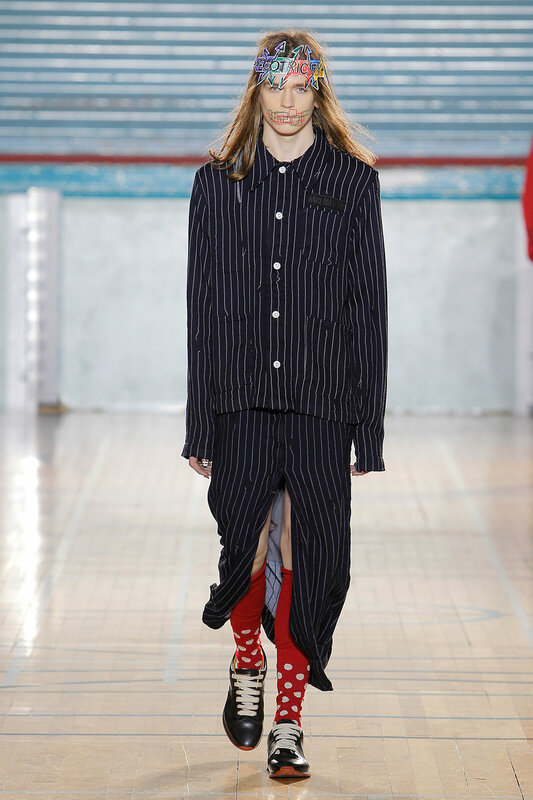 With garments printed with 90s VHS graphics, checked trousers reminiscent of pyjama bottoms, bed hair and overwhelmingly large outerwear that blanketed the models, Alex Mullins AW17 brings fashion to the living room sofa, proposing a comfortable and relaxed style. 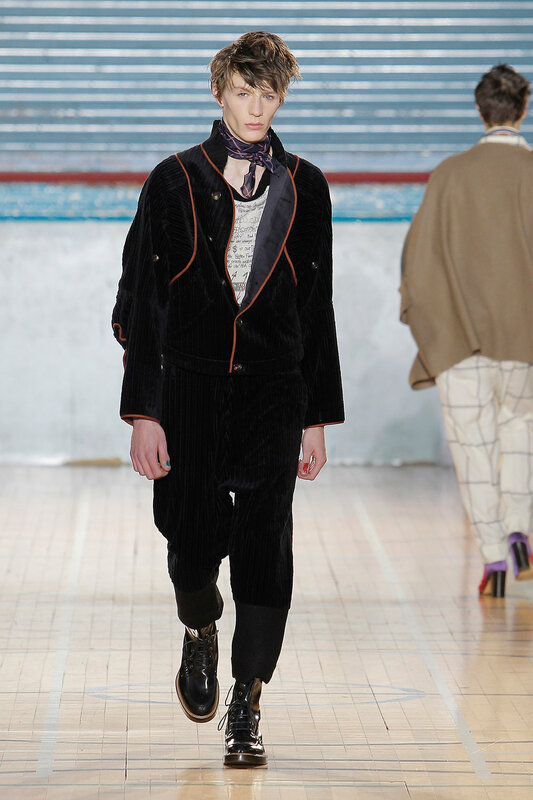 With the intention to highlight the importance of the River Nene to their shoemaking, John Lobb AW17 proposed a collection that amalgamated function and style for London Fashion Week Mens. 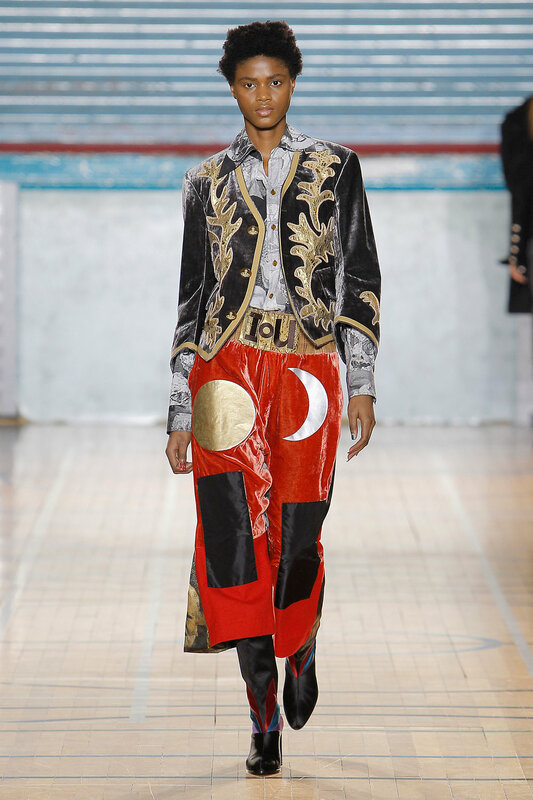 Inspired by a pack of cards, Westwood re-appropriated the symbols, infusing them with meanings that signified current issues and scrawling them across the clothing and the skin. 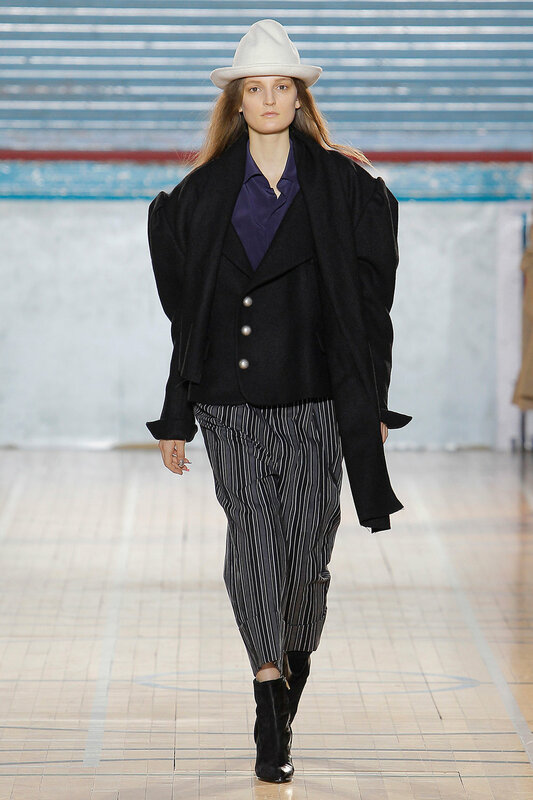 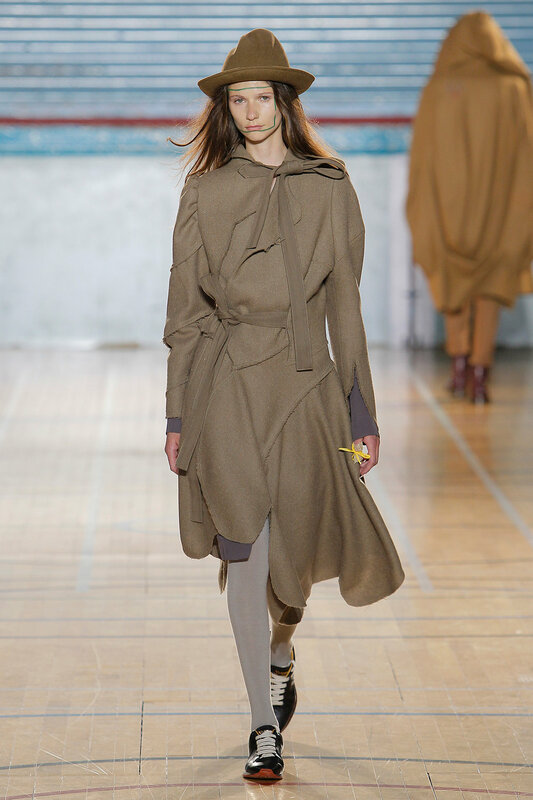 Utilising classic methods of tailoring, DAKS SS18 took to London Fashion Week with a refreshing, summery retake on outfits that elicit classic nostalgia.